There are certain names that everyone in this industry knows, names that newcomers normally encounter within hours of entering the domain business. Names like Rick Schwartz, Kevin Ham, Frank Schilling, the Castello Brothers and others from a small band of pioneers who have reached the top of a mountain that thousands of others continue to climb. Most in that group became wealthy because they were visionaries who foresaw how valuable domain names would become long before they appeared on anyone else's radar. Rob Grant may not be as widely known as some of his pioneering peers, but few in the industry can match the foresight, financial commitment and unwavering faith in the future of domains that Grant has shown over the past 12 years. During that time the personable real estate broker from upstate New York assembled the world's best collection of real estate related domain names (as well as some gems in other categories). Rob Grant is one of the original domain name investors, having built a great portfolio many years ago. He has also sold a number of high profile domain names, including TorontoRealEstate.com ($140k), and JacksonHoleRealEstate.com ($80k) among others. These days, Rob is probably more well known outside of the domain name business for being the father of Lana del Rey, but that is another story! Robs portfolio of .com domain names is quite expansive. 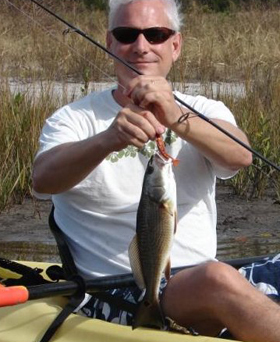 In addition to owning top RealEstate.com domain names in markets across the world (HawaiiRealEstate.com and NewYorkRealEstate.com to name two), Rob also owns domain names like Adirondacks.com, Marathons.com, and TropicalFish.com. Its always interesting to get the perspective of people who have been in the domain business for a long time. Per DNJournal, Rob Grant sold TorontoRealEstate.com for $140,000! In the same article, Ron Jackson writes thats the highest price for a geo real estate domain. The next best sale known is HamptonsRealEstate.com for $100,000. What Im sure helped the sale is Grant had previously dealt with the buyer. He had sold him OttawaRealEstate.com prior to this transaction. Real estate is a huge niche and I dont doubt the domain is worth it for the enduser. Still, this is a tremendous sale as typically geos are capped around $30,000-$40,000. What I mean by that is you dont typically see a geo domain  of any niche  go beyond that price range. Granted, real estate is the king of all niches but this sale is so far above par, it has to be a milestone of some sorts. The closest Toronto domain sales I could find are TorontoLimos.com for $20,000 and TorontoBusiness.com for $4,700. Congratulations to Rob Grant for going beyond market price and setting a new benchmark for geos. Dotcom vs New gTLD Extensions: Whats the Status? When consumers first began using the Internet there were only a handful of generic top-level domains (gTLDs) to choose from: .com, .org, .net, .info and a few others (this list does not include restricted TLDs, such as .edu, .gov, and .mil since they can only be used by specific types of organizations or registrants). While there have been attempts over time to increase the number of gTLDs, the efforts have not gone far, and the originaldotcomremains the supreme leader. Currently there are close to 700 registered gTLDs in about 20 different categories (see the full list at www.newgtldsite.com/new-gtld-list). You can find broad TLDs such as .medical or more narrow ones such as . [city name], and everything in between. The total number of gTLDs is projected to at least double, and could get much higher. Community TLDs will help raise awareness and rally support around a group or cause. The term community is not restricted to geographic areas, although you can get community-geographic TLDs with support of the local government in your geographic area. Other community examples could include religious groups, charities, or hobbies. In a 2012 interview Rob Grant, a domainer millionaire who buys and sells thousands of websites and domain names from his company WebMediaProperties.com, was confident that dotcom is not going away anytime soon. Its online presencewebsites from the largest corporations to the smallest blogsis undeniable. 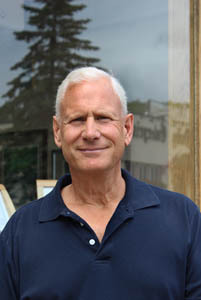 As with any strong brand, the introduction of several competitors often only confuses consumers and strengthens the one that everyone is familiar with (find details of his interview at http://www.thedomains.com/2012/07/23/rob-grant-on-the-new-gtlds-dot-com-will-always-win-the-horse-race/). Almost by accident, companies and people have helped build and reinforce the power of dotcom. Billions of dollars in advertising have been spent on dotcom branding, with integrated campaigns across traditional media (television, print) and new media (web and social media) that solidify dotcoms position at the top of the domain extension world. Its also important to remember that this is not the first time new domain extensions have been introduced. As the Internet has expanded over the years there have been other TLDs, such as .jobs, .museum, and .pro. While they dont offer the same personalization and brand differentiation that the proposed new gTLDs will, they have not gained enough traction to overtake (or even compete with) dotcom. There is a caveat to the potential for a dotcom challengerGoogle spent millions for over 100 new extensions, as did Yahoo and Bing, and if search engines decide to prioritize new domain extensions over dotcom, that could give gTLDs a boost. Can you manage the registry in a way that ensures it wont become associated with spam sites? People in the domain space are mentioned include Rob Grant as the father of Lana Del Rey, Kevin Ham, and Thunayan K. AL-Ghanim. The story covers Godaddys purchase of our portfolio saying they spend over $100 million in domains. The story quotes DomainNameWire.com by name; uses TheDomains.com as links for some of its facts. The story goes on to chat about new gTLDs in a very positive light especially .Brand new gtlds. Well McDonalds did not apply for .bigmac but they did apply for .Mcdonalds and .MCD. It's no secret that sales of 3-letter and other short .coms have been booming and that trend continued today when we learned that broker George Hong of Guta.com has closed the year's biggest 3-letter .com sale to date, moving PPP.com for $290,000. Hong said the buyer and seller both prefer to remain anonymous but he provided proof of the completed sale and price paid. When we chart the PPP.com sale it will rank as the 7th biggest sale of any kind reported so far this year (unless an even bigger sale is reported before our next weekly domain sales report is released. We will be away the next two days for a family funeral so this week's report, normally released on Wednesday, won't be out until Friday). WebMediaProperties.com, who holds the world's largest portfolio of .com city real estate domains (NewYorkRealEstate.com, for example) sent us note today to let us know he had just sold JacksonHoleRealEstate.com for $85,000. Grant told us, "I've seen a significant increase in the number of qualified and substantial offers coming in from brokers for the premium '.com' real estate domains - this, paradoxically, as many of the new competing "real estate" extensions are just now being launched, most notably .realtor, and to a lesser extent .house, .home, .realty, .mls, .estate, etc. Over 23 new 'real estate' related gTLDs are scheduled to launch (or have launched already). As this growing clutter of new gTLDs overwhelms the public and the real estate industry, there appears to be a growing identity crisis among agents and brokers... and especially consumers." "Amid all this confusion - pure .com real estate domains (brands like HiltonHeadRealEstate.com, SantaFeRealEstate.com, OttawaRealEstate.com and TorontoRealEstate.com) have continued to rise in value - selling in the high five and six figure range. The reason is simple - brokers and agents (and most importantly the public) instinctively recognize that these names are the most trusted and valuable brands." Grant believes this is trend that is going to gain momentum as more new gTLDs are released, predicting, "The day is not far off when a major brand like HawaiiRealEstate.com, AtlantaRealEstate.com or NewYorkRealEstate.com will sell in the half million dollar range, or more. I talk to hundreds of brokers and agents who inquire about real estate domains for their business. There is also a great fear out there for the new 500 pound gorillas - called Trulia and Zillow - who dominate the search results for real estate. Brokers are scrambling to find new ways to rebrand themselves and stand out in the search results. If you own MiamiBeachRealEstate.com (a domain I've turned down offers for in the 6 figure range) vs. Joe Schmo real estate, you win! ", Grant opined. Rob Grant (who was profiled in our April 2008 Cover Story) has the world's best portfolio of geo-targeted .com real estate domains. Rob collected the latest dividend from his vast collection today (Sept. 17, 2014) when he closed a $140,000 sale of TorontoRealEstate.com that he has been working on for the past four months. Grant told us the Canada based buyer had also purchased OttawaRealEstate.com from him earlier this year. He added that to the best of his knowledge (and he is in a position to know) the TorontoRealEstate.com sale is the highest made to date for a geo-targeted real estate domain, easily topping HamptonsRealEstate.com which was sold for $100,000. That sale easily took the top spot on our latest weekly all extension Top 20 Sales Chart, eclipsing the next highest sale by over $100,000. AlanAdlari.com claimed the runner-up position with Kiralikaraba.com at $37,500, one of four sales they placed on the Big Board. Real Estate Domain Name Sells for $60,000 Was It Worth The Price? $60,000 - A real estate company purchased a Domain Name for their corner of the earth. Happens all the time, but the surprise is that they didnt pay $12 for the domain, they paid $60,000! WOW! What was so special about that domain, and WHY would a company pay that kind of price?? Most real estate agents own their Name as their first (Primary) website address. It makes sense, you want to make certain that if you meet someone at a Chamber Meeting, its easy to remember! The second URL most real estate agents purchase (once they realize that no one moving to Texas is Googling the Agents NAME) is one that is Geographically Specific. The more specific, the better the SEO. So when a company in Utah was looking for the VERY BEST domain available, they found www.ParkCityRealEstate.com , and they were finally able to get Rob Grant to sell it to them. Why would a domain be worth so much? Well, the first is the Age of the Domain. The Park City domain was purchased in 1996  well before most people were looking for domain names! The other is that for more than 15 years that domain had had relevant, updated information on the site. 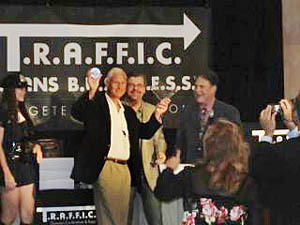 ROB GRANT WINS 'DEVELOPER OF THE YEAR' AWARD AT THE 2011 INTERNET 'TRAFFIC' CONFERENCE IN FT LAUDERDALE, FL. 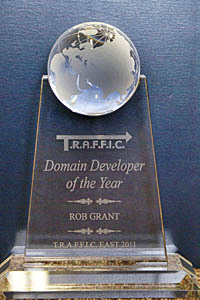 On October 18th Rob Grant was presented with the 'Developer Of The Year' award at the 2011 TRAFFIC East Internet conference held in Ft Lauderdale, Florida. Grant is one of the original pioneers in the internet domain space. His company, WebMediaProperties.com, has been quietly and methodically acquiring and developing valuable domain assets dating back to early 1996. Over the last 15 years Grant has assembled one of the most diverse and impressive portfollios of premium generic domain names. Today, his www.WebMediaProperties.com operates a global network of 7000 high value domains encompasing a wide spectrum of industries including publishing, music, law, finance, sports, retail, automotive, and literally hundreds of other niche categories. In addition to the above, Grant also operates his own private label network of 1500 developed web sites showcasing travel, sports and lifestyle. "McClure said the seeds for the affiliate program were actually planted when he had breakfast with Rob Grant at the October 2012 T.R.A.F.F.I.C. conference at Fort Lauderdale Beach, Florida. McClure said, "Rob mentioned that he had a few old flower and related three word URL�s, long tail domains - and he asked if we could work together. I agreed to give him $10 per order and he pointed the domains to our Rackspace servers the following week. He is now generating around $600 per month from those domains..."
For the 3rd consecutive report our all extension top sales chart is headed by a sale that hit or exceeded a half million dollars. I was away last week covering the DomainX conference in Bangalore, India, so this week's report actually covers two weeks worth of data but that is still an impressive run of high end sales. This time out SX.com did the trick, changing hands for $555,050 via NameJet in a sale that is also the 4th highest reported so far this year. The runner-up sale on our new Top 40 chart (expanded from the usual 20 positions to accommodate the double dose of data) went to another six-figure sale - again a short .com. That was DAR.com, a name that sold for $150,000 in a deal brokered by MavenDomains. 3-Letter .coms have been hot all year and that trend continued with eight more from that category landing on the leader board. Sedo filled the next two spots on the ladder, banking $70,212 for #3 WolfSpeed.com and $55,000 for #4 KBeauty.com. Charts.com rounded out the first five, going for $50,000 in a deal handled jointly by Hobi Michalec at DomainHoldings and India's Deepak Daftari, who is regarded as the father of that country's domain investment community (Deepak also gave the first keynote address at the DomainX conference and I had the honor of following him on stage to deliver the second). Hobi put DomainHoldings on the board again by moving #16 (tie) Prescient.com for $20,000. .Coms swept the first 11 chart entries before a trio of .top domains finally stopped that run. .Top is a new gTLD that has gained some degree of popularity in China. The registry operator sold #12 (tie) 55.top, 58.top and 77.top for $25,023 each in sales handled by the Jiangsu Bangning registrar (the registry provided us with documentation proving the prices paid). One other non .com gTLD made the Big Board. That was #32 Fan.club, sold for $10,016 by registrar 1API who was one of several registrars that helped market a sale of registry owned premium .CLUB domains in July. The ccTLDs put three domains on the elite list, led by Sedo's $21,201 sale of #15 Rabatt.ch. Park.io put another country code on the top half of the chart with #20 DB.io going for $18,000. Sedo scored a second time in this category with #21 WS.de delivering $16,928. The .coms wound up sweeping 33 of the 40 chart entries. Flippa.com posted a couple of those including one of the 3-letter .com sales - #22 VYC.com at $16,600. Rob Grant's WebMediaProperties added another in #23 CheapCoats.com at $15,000. Rob Grant owns the worlds largest collection of geo-targeted .com real estate domains and it is a rare occasion when he lets one go. Rob Grant walked away from a dream job on Madison Avenue to New York's Adirondack Mountains. Problem was, he had no job waiting for him. "We happened to get lucky because we hit that market just as the Adirondacks were starting to be rediscovered," Grant said. From there, skill, moxie and fortitude took over. 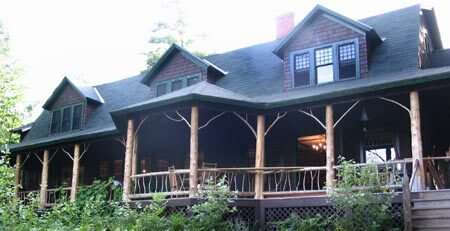 As the region became popular to people from New York, New Jersey and Boston, Grant pioneered real estate domaining with AdirondackRealEstate.com, for example. Every successful domainer has his story how he got into this business. Here's Rob Grant's. He was this creative guy working really hard at Grey Advertising. He was really happy to get that job, but it was becoming more and more stressful since working for clients like Proctor & Gamble, Northwest Airlines and others doesn't come that easy. Tag lines like "Thank Goodness it Fits" made his clients a fortune, so he began to wonder what it takes to do the same for himself. He moved from Madison Avenue to the Adirondacks. To Adirondacks? Guess what. That was the best move Rob ever made. He went there into the Real Estate business that gave him the security after moving there, and giving up his great job at perhaps the best marketing agency in the world. You are probably wondering what happened next, and how does a guy from a marketing agency - turned "RealEstate agent" go to a domainer? Well, when you think about it, domains are virtual real estates. And marketing and branding is deeply tied with domain names. So when Rob combined his two experiences, he though he could get a hold of it, and boy he did. Domain industry pioneer Rob Grant (who was the subject of our April 2008 Cover Story) also had a lot to say about new gTLDS (and many other topics) in a new interview that Goran Duskic published on his WhoAPI.com blog. Grant told Duskic, "Only one extension will emerge as the winner. Its the same extension that has always emerged on top, through countless disruptions and changes in the domain space. Its Dot Com. It doesnt matter how many horses enter the race." Grant said, "It's important to remember that this is the one extension that all companies (Fortune 500 companies on down to small businesses everywhere) have all built massive brands around  both online and offline (print, TV, radio, etc) over the last 15 years. All other extensions have basically played a defensive role. This means that billions of dollars in advertising and marketing have been spent on the Dot Com brand itself. It's what consumers are familiar with and understand." Luxury Agents need Luxury Domain... Own Your Market! Valuable Asset: ParkCityRealEstate.com sells for $60k. 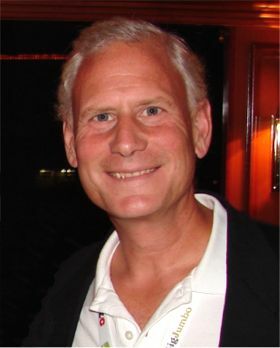 Rob Grant owns the world's largest collection of geo-targeted .com real estate domains. He sold ParkCityRealEstate.com to EW Partners of Park City, Utah for $60,000 in 2011. Grant said, "We rarely sell any of our valuable geo-targeted real estate domains unless the offers are significant and reflect the true value of these names. ParkCityRealEstate.com was a domain that I originally hand registered back in the November 1996. " "This is a great example of how valuable these real estate .com domains have become over the years as a unique asset class - despite ongoing recessions and our current global financial crisis. Frankly, there's no better investment out there." LAST WEEK, I had a chance to get to know Rob Grant, one of the biggest real estate domain owners in the world, some of his names include NewYorkrealestate.com, BeverlyHillsrealestate.com, and many more. His recent sale, ParkCityrealestate.com (Utah), was sold for a cool $60,000. Whats interesting to me is he started in offline real estate before he stumbled in investing in web domains in 1995. His background is as interesting as the man himself; tired with the East Coast culture, he walked away from a promising advertising career in New York city and moved to the Adirondacks Mountain, We rented a house up there but didnt have a clue what we were going to do! It was a very scary time, Grant said. Domaining's Most Fascinating 2010- Rob Grant "Forever Young" "Forever Innovating"
'If you know upstate New York or if you've visited a geosite for the region, then you probably have hit one of Rob's properties. Rob's WebMediaProperties.com owns about 8,000 domains and has helped define successful real estate domaining. His WebMediaProperties.com has turned upstate New York's AdirondackRealEstate.com and other real estate domains into a successful business with one of the first refined marketing strategies for geodomaining. This former New York ad man and onetime custom furniture maker who relocated to New York's upper Saranac region also owns a host of compelling verticals including Marathons.com, TropicalFish.com, prefabhome.biz, and such geo targeted properties as MississippiRiver.com"
While I was away on a South Florida visit Friday, the Wall Street Journal ran a new feature piece spotlighting a special listing from real estate domain pioneer Rob Grant's AdirondackRealEstate.com website. The property represented by Rob's company that the WSJ showcased is Kilkenny Lodge - a magnificent Adirondack lodge built in 1901-02 as part of a summer compound for William Kingsley, a New York banker who became president of the U.S. Trust Company. the final sales price if and when the property finds a buyer. For the record Grant is quoted as saying he expects the lodge to sell for close to the $690,000 asking price in mid or late summer. Kilkenny Lodge - what will Rob Grant sell it for? The building has over 4,200 square feet and features seven bedrooms, six baths, hardwood floors, wood paneling, massive stone fireplaces, a private study and library, and a spectacular 80-foot long porch that stretches along the entire length of the lodge. The property is situated on a very private 2.3 acre plot surrounded by woods and streams with magnificent views of the surrounding mountains. At 690k (less than the price of a number of individual domain sales we have seen over the past year) I could see any one of a number of domainer investors adding this property to their real world asset portfolio. 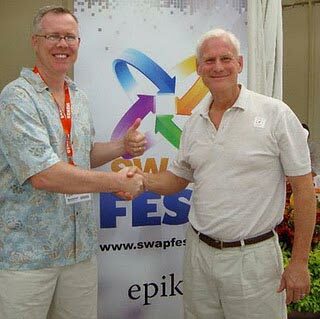 Rob Grant owns the world's largest collection of geo-targeted .com real estate domains and it is a rare occasion when he parts with one of them. However, this evening Grant announced that he has sold ParkCityRealEstate.com to EW Partners of Park City, Utah for $60,000 in a deal brokered by GoDaddy.com. .com real estate domain sale this week. Grant said, ""We rarely sell any of our valuable geo-targeted real estate domains unless the offers are significant and reflect the true value of these names. ParkCityRealEstate.com was a domain that I originally hand registered back in the November 1996. This is a great example of how valuable these real estate .com domains have become over the years as a unique asset class - despite ongoing recessions and our current global financial crisis. Frankly, there's no better investment out there." Recently, Grant partnered with Sothebys Select Real Estate to leverage his domain names in test markets throughout New York, building custom sites around geo-targeted domains like www.LakeGeorgeRealEstate.com. These partnerships are based on generating targeted real estate leads that can convert to actual sales and commissions. "If you're fortunate enough to own a specific real-estate.com domain in a given city or region, and you take the time to really develop that name into a major real estate portal, you'll invariably own that market on the internet," Grant said. "We've proven that repeatedly with our own real estate firm here in the Adirondacks. AdirondackRealEstate.com is now responsible for 95% of all our real estate and vacation rental leads. We rarely use print any more for any of our real estate advertising." Congrats to Rob, whose sale will undoubtedly give him a spot on this week's Top 20 sales chart that will be out Wednesday. "And I think a lot of us are still in denial because things have been so comfortable for so long... And we somehow hope that things will get back to 'normal'. But the truth is, they won't -We're seeing catastrophic declines of 50% or more in ppc revenue...and that's the new paradigm. Its a lot like the newspaper industry hanging on to the very end as their ship sinks around them". Rob Grant: "It's interesting. I just deleted hundreds and hundreds of hyphens." If you know upstate New York or if you've visited a geosite for the region, then you probably have hit one of Rob's properties. Rob's WebMediaProperties.com owns about 8,000 domains and has helped define successful real estate domaining. His WebMediaProperties.com has turned upstate New York's AdirondackRealEstate.com and other real estate domains into a successful business with one of the first refined marketing strategies for geodomaining. This former New York ad man and onetime custom furniture maker who relocated to New York's upper Saranac region also owns a host of compelling verticals including Marathons.com, prefabhome.biz, TropicalFish.com, and such geo targeted properties as MississippiRiver.com. On DomainSuccess.com, host Jeff Zbar asked Rob how he got started in domaining? 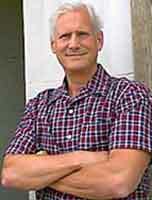 Yeah, that was back in 1998, when we listed a remarkable property located in the Catskills in upstate New York. It was a private estate located on a mountaintop called Glen Tonche, and it was owned by the Pitcairn family out of Philadelphia. And typically most mid-size real estate agencies can only service listings within say a 50 to maybe 100 mile radius. Basically, it comes down to how far a real estate agent is willing to drive to show a property. So yo ur boundaries are pretty limited. Glen Tonche in the Catskills was located over three and a half hours away from my agency up here in the Adirondacks. So that was a huge distance by traditional standards. So when we listed this property, the first thing I tried to do was enlist the cooperation of local real estate firms down in the Hudson Valley and Catskills. But they felt strongly that we were invading their territory and they gave us no cooperation. So we were forced to find alternative marketing, and we created a showcase website for Glen Tonche on CatskillsRealEstate.com. We began to market the property online and through select magazines. And in July of 1998, we successfully sold Glen Tonche in-house using the Catskills website. The price was $1.7 million, generating a commission of over $150,000 to our firm. This proved to me that the Internet and domain names were incredibly powerful tools and they were going to change the way traditional business was done especially in the real estate space. Today our websites are responsible for some of the biggest sales we've had. Properties like Camp Cobblestone, which we sold recently for $2.5 million and Camp Konocti, which we sold for $3.3 million. So the Internet has become by far and away the most important resource we have as an active agency. Well, it was a logical expansion of the concept that I saw with Catskills Real Estate and Adirondack Real Estate. And actually, when my web designer back in 1996 first came to me and said, "You know, you should really own Rob Grant Real Estate." And I thought to myself, "Well, really who the hell cares about Rob Grant? No one knows him and no one's going to search for him. But what they do care about are the Adirondacks and Adirondack real estate." So for me, the light really went off when I put myself in the shoes of the searcher or the consumer. And as soon as I realized the significance of owning a powerful geo-targeted domain, I began to expand out of New York. We created a huge vertical in New York -- AlbanyRealEstate, SyracuseRealEstate.com, so on and so forth. But then quickly moved beyond New York out across the country, and then ultimately we jumped from the US to Canada and then onto all of the international markets. Well, obviously the biggest change is going back to1996, there were just a few people out there acquiring these names because there really was absolutely no reason to buy a domain. There was no way to monetize it. Very few people even understood what it was. There were no search engines. This was long before Yahoo or Google or any of that. Hard for a lot of folks today to believe. So you bought these names purely on a hunch. It was really gut instinct and nothing more and there were very few of us out there doing it. But the guys who were out there doing it were very smart, and they had the same conviction and belief that I did. I had the advantage of having worked on Madison Avenue, so for me I felt that a generic domain defining an industry represented a future brand. So I was convinced that if you could own these category defining domains that someday, maybe in five, ten years as the Internet matured, these domains would take on huge value. But back then, they were essentially worthless and in fact they cost you money because you had to register. The only register back then was Network Solutions and you were paying 100 bucks a pop. So you had to think long and hard about acquiring any kind of significant portfolio. It's interesting. I just deleted hundreds and hundreds of hyphens. I know over in the UK they like hyphens. And I know from an SEO perspective hyphens can be very important. I do keep the hyphenated real estate domains, again just as a defensive play. But I have let many hundreds of hyphenated domains go just in the last six months. New York City-based intellectual property lawyer Brett Lewis (better known by many as a domain lawyer), from the law firm of Lewis & Hand, has launched a new website on the generic domain name TrademarkAttorneys.com. The website has started out as a blog, and it will eventually grow into a full-fledged trademark law website. The recently launched website is currently ranked No.2 on Bing and Yahoo, and it is on the second page of Google for the competitive keywords. Its an advantage of owning a keyword domain name that would have been much more difficult had Lewis tried to rank highly using his law firms corporate domain name. The domain name was purchased for an undisclosed sum a few months ago from well-known domain investor, Rob Grant. This was a name that had been previously up for auction, and I thought it would be a great buy for someone in that field. Once Lewis site ranks in the top of Google for his key terms, he will save significant money on pay per click advertising. As with any domain investment, its a significant short term expense, but will certainly pay off over time. This is part five of a series of five with one piece of advice from some of the most successful domain investors, domain developers, domain monetizers, and others involved in the domain industry. I asked them for one piece of advice they would give to a part-time domain investor looking to build his business. I believe there are quite a few people who are part time domain investors, and I also believe just about anyone involved in the industry can apply some of this advice to their own business models. I really appreciate all of the contributions from the industry leaders who contributed, and I hope the advice contained within is helpful to you now  or will be helpful to the growth of your business in the future. All it takes is one good domain. followed by domain investors running wildly around chasing all this garbage. Join us for a Webinar on February 18, 2011 featuring Rob Grant . Rob Grant walked away from a dream job on Madison Avenue so he could move to New Yorks Adirondack Mountains, even though there was no job waiting for him there. We happened to get lucky because we hit that market just as the Adirondacks were starting to be rediscovered, Grant said. People were starting to come up from New York, New Jersey and Boston and I found I was able to sell the residential properties for two and three times what I paid for them. That kind of ushered in my real estate era. As the economy started growing again, Grants business boomed. At this same time, in 1995-96, Grant became aware of the Internet and domains. That was a remarkable awakening for me because I had the Madison Avenue marketing background and I had the real estate background and suddenly these two powerful thing merged. I looked at a domain and thought My God, not only is this a brand as the Internet develops, but it also has all of the properties of real estate, Grant said. Rob Grant owns a massive portfolio of highly targeted real estate domains - "I wanted to help create a new revenue channel," Grant said. "I did not want to remain dependent on Google and Yahoo (the main providers of PPC revenue) and this looked like a very smart alternative. For a vertical portfolio like mine is is especially good because it is possible to forge a direct advertiser relationship for thousands of domains at once." To make sense of what happened in 2008 and where we are headed in 2011 we called on 15 of the most successful people in the domain industry for our 5th annual State of the Industry report. Our panel of experts includes key company founders, CEOs, developers, investors and attorneys. The all-star roster includes (alphabetically by last name): Monte Cahn, the Castello Brothers (Michael and David), Phil Corwin, Michael Gilmour, Ari Goldberger, Rob Grant, Dr. Kevin Ham, Dr. Chris Hartnett, Michael Mann, Andrew Miller, Howard Neu, Rick Schwartz, Tim Schumacher and Divyank Turakhia. With so many top minds gathered in one place this is a report you can't afford to miss! Think: what individual has forged imagination, diligence, and discipline into bottom-line success, and who has gone far beyond domaining to leverage their success to help others in need? We know some of them already, and we're inspired by their stories of altruism, of creating fresh opportunities for those who are much less fortunate. It takes vision and commitment - and a rare perspective that sees the world with clarity far beyond personal financial success. These diverse entrepreneurs are generating real wealth through a disciplined process that can be followed by everyone who dreams of striking it rich online. Its old-fashioned marketing, reengineered for the digital world. Every one of these Most Fascinating People knew that the true path to revenues and riches is to build a brand with an actual business model based on differentiation, relevance and value. Rob Grant Interview  I have asked various parties within the domain industry to take part some interviews to give us a little background about themselves, where they see the industry heading and how they feel the current market for domain names are our fourth interview is by Rob Grant. 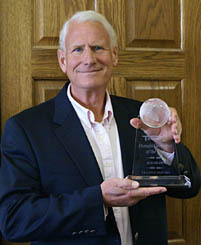 Rob Grant is chairman & CEO of WebMediaProperties.com , a diversified online media and publishing company operating a global network of 8000 specialty web sites. Grant is also CEO & President of Point Judith Properties, Inc., a real estate holding company located in New York State. Considered one of the early pioneers and visionaries in the emerging field of direct search and the internet, Grant has been credited with building one of the largest online real estate networks in the world. Today, his various companies, including WebMediaProperties, control one of the largest online networks of consumer information portals and web sites covering a diverse spectrum of industries including Automotive www.FourWheelDrive.com , Music www.RecordingArtists.com , Travel www.CaribbeanResorts.com , Entertainment www.TalentAgents.com , Publishing www.BookPublishers.com , Winter Sports www.CrossCountrySkiing.com , Summer Sports www.Marathons.com , Education www.SpecialEducation.com , Hobbies www.TropicalFish.com , Law www.TradeMarkAttorneys.com , Business www.PRFirms.com , Construction www.prefabhome.biz , Special Interest www.DietBooks.com , Retail www.DiscountDesignerApparel.com , Mail Order www.ChristmasWreaths.com and hundreds of other categories. Home of the "Domain King"
Next to the Bandit Berkens "Goodwill Ambassador Award" that will be given for the first time, the Hall of Fame is our last category for nominations and one of our most prestigious awards. Each year two people are inducted. These are your nominees for 2012. Congratulations and Good Luck to all!! Well done!! If you feel somebody deserving was left out of any category, make sure YOU nominate them in 2016.
copyright © 2017 WebMediaProperties.com, All rights reserved.